Our collaborators are at Penn and many other institutions. We are grateful to all of the students, faculty, staff, and community partners who have made important contributions to the team. Carolyn C. Cannuscio is a social epidemiologist who believes in working with communities to remedy health disparities. She is dedicated to using her skills as a researcher, her partnerships with strong organizations, her position at Penn, and her experience as an urbanite to improve population health. With her incredibly inspiring team, she is committed to answering the Institute of Medicine’s call to “eliminate health inequities and improve health for all.” She leads the team with a firm belief that every individual brings boundless creativity and potential to generate positive social change. As an Italian mother of four and as a mentor, she is dedicated to good health and full bellies for all. Visit us and you will not leave hungry. Anna U. Morgan is a general internist who loves to provide medical care to underserved populations. She trained at a public hospital in LA and recently completed the Robert Wood Johnson Clinical Scholars program at Penn, where she saw primarily Spanish-speaking patients at Puentes de Salud in Philadelphia, and is dedicating her career to serving as a doctor who makes a difference in the community. Anna designed the Community Health Specialist trainings for library staff, and she lights up when she talks about the power of libraries as a force for health. She currently works as the Director of Urgent Care Services and Outpatient Care Transitions at Harbor-UCLA Medical Center, a county hospital in Los Angeles. Anna also loves pottery, African dance, and a good laugh. Kahina Brooks and Amy Graves conducting a street intercept interview for the Community Health and Literacy Center needs assessment. Eliza D. Whiteman is a public health researcher who is passionate about healthy food access for all. That commitment was galvanized by her work with immigrant farmers and farmers’ markets in the Pacific Northwest. Eliza now lives in South Philadelphia, serves at a food pantry in Northern Liberties, and recently completed the Friday New York Times crossword puzzle herself. Eliza recently completed her PhD at Penn and has prior graduate degrees in public health, nutrition and urban planning. In Fall 2018 she will start as a Postdoctoral Research Scientist at the Columbia University Mailman School of Public Health. She is a master mapper, and also makes delicious homemade ice cream. She’ll share if you ask nicely. Xochitl Luna Marti is a recent graduate of the University of Pennsylvania who majored in Health and Societies, and is now working on her Master of Public Health degree at Penn. She is currently working as a Research Coordinator with the Center for Public Health Initiatives. Her study is looking into how to improve food allergy management behaviors among adolescents and young adults. Besides Public Health, Xochitl loves traveling, talking about San Francisco (her hometown), and Latin dance! Andria Johnson is a gifted historian and teacher who has many fans in Penn’s undergraduate Health and Societies program. Andi is closely connected to the West Philadelphia community she calls home. Her scholarly focus is on the history and anthropology of exercise physiology, and her interest in sport carries over to her personal life, which includes hiking and camping and running with her three young children. Hillary Bogner is a family doctor and an epidemiologist on the faculty at the Perelman School of Medicine. She is particularly interested in the health and wellbeing of older adults. She lives with her husband and three children in Philadelphia and they frequent the Free Library often. Her mother is a retired librarian. Heather Klusaritz holds a PhD in social welfare policy and a MSW and is the Director of Community Engagement for Penn’s Center for Public Health Initiatives. Heather knows Philadelphia’s social service infrastructure inside and out and is dedicated to serving vulnerable Philadelphians. Heather is a mother of two little boys, and she is fierce on the soccer field. Kiahana Brooks brings an open-minded, hardworking brilliance to our team. She is a registered nurse who also completed her Master of Public Health degree at Penn. When she is not working as a Presidential Management Fellow for the United States Department of Health and Human Services, Kiahana may be found dancing, volunteering with recent immigrants, or reviewing on TripAdvisor. Ask her for travel advice and you won’t go wrong! Sara Solomon is the Deputy Director of Penn’s Center for Public Health Initiatives. She has a strong track record in public health leadership, including a founding role in the CDC-funded “Get Healthy Philly” nutrition and tobacco control initiatives at the Philadelphia Department of Public Health. When she is not gardening and getting healthy food to Philadelphians, Sara is training service dogs and planning to be a mom. Amy Graves conducting an interview with a Philadelphia resident during the needs assessment for the Community Health and Literacy Center. Graceann Palmarella is the Associate Director of Community Development at Health Union, LLC. She completed her Master of Public Health degree at Penn, where her capstone research focused on the health and social needs of youth experiencing homelessness. Graceann's interest in working with this population began during her fieldwork with the Children's Hospital of Philadelphia's Homeless Health Initiative where she worked with mothers and children at nearby shelters. In addition, she has worked on youth physical activity programs with the YMCA, and she is a certified yoga instructor. Nema Etebar is our spirited team photographer who loves urban life and all of humanity. Nema welcomes diversity in all its forms, which comes through in his art as well as in the meaningful conversations he has in every city he visits. The best way to keep track of Nema is to follow him on Instagram @nemaetebar, where his signature style and sensitive eye offer new, light-filled ways of looking at the world. Nema is our role model for how to conduct research that begins with an open mind and leaves prejudice behind. Stacey Kallem works with the Philadelphia Department of Public Health and is a pediatrician at the Children’s Hospital of Philadelphia (CHOP). She brings to the team a passion for early literacy as a cornerstone of healthy child development. Stacey is devoting her career to working with vulnerable populations in order to mitigate the “toxic stress” created by poverty, parental mental health disorders, and violent environments. She sees hope in positive adult relationships, including those found in supportive learning and health care environments. When she is not working with children, Stacey enjoys theater and travel. Lonard Encarnacion is a rising sophomore at the University of Pennsylvania who is planning on majoring in Economics with an emphasis on Health Economics. He is a research assistant at the Center for Public Health Initiatives, supporting research related to libraries and the opioid epidemic. He hopes to one day pursue a Masters in Public Health, as well as to attend medical school. Lonard also enjoys long walks with his friends and watching Netflix in his downtime. Carina Flaherty is a native Philadelphian and undergraduate student at Wesleyan University in Connecticut. Carina grew up in libraries- she got her first job in middle school at the Rittenhouse library shelving books, spent summers volunteering as a summer reading leader in the children's libraries at the Central and South Philly branches, and works as an archival assistant at Wesleyan's library. Her passion for public health took her to Copenhagen, Denmark to study harm reduction and universal healthcare systems and she loves listening to people's stories in her qualitative research at the Center for Public Health Initiatives. She frequents Philadelphia's eclectic street markets, runs on the Schuylkill trail, and always craves her grandmother's Korean food. Carolyn Cannuscio, Roxanne Dupuis, and Amy Graves in the Italian Market, conducting a street intercept interview for the Community Health and Literacy Center needs assessment. Roxanne Dupuis is a force of nature. She has the remarkable ability to see both “big picture” public health goals and the small but meaningful tasks necessary to meet those goals. With this “superpower,” Roxanne has kept our team on task, on target, and dedicated to making a difference in Philadelphia and beyond. Roxanne studied as an undergraduate at McGill University in Montreal (yes, she is one of the lucky Canadians), and she completed her Master of Science in Public Health degree at the Johns Hopkins Bloomberg School of Public Health. Roxanne started a doctoral program in September 2018 at the Harvard Chan School of Public Health and is working with the team from afar. Roxanne is a Canadian national figure skating champion! Amy Graves is a multi-talented team member who uses her photography, videography, and human relations skills to engage both community residents and our team. Amy can take any bleak day and make it look more beautiful with her presence. Amy has been known to camp with grizzly bears ominously close by, and to land in Guatemala with her husband and a tent but no firm plan. Adventure travel is her passion. Margaret (Maggie) Lowenstein is a fellow the National Clinicians Scholars Program at Penn and an internist interested in policy and care delivery related to substance use disorders. She completed medical school at Penn and headed to the west coast for residency at the University of California, San Francisco. She then spent a year on faculty in the Division of General Internal Medicine at UCSF providing primary care and addiction treatment before returning to Philadelphia for fellowship. Maggie is focusing on library-based strategies for education and harm reduction related to the opioid epidemic and is working with a team to pilot naloxone trainings at public library sites in Philadelphia. In her free time, Maggie loves live music, her cats, and exploring the Philadelphia restaurant scene. Rachel Feuerstein-Simon joined the HLI team as a Master of Public Administration and Master of Public Health student at Penn. Rachel is passionate about health policy and has held policy-related roles at the Department of Defense, Children’s Hospital of Philadelphia, and the Philadelphia International Airport. Prior to Penn, Rachel worked for a humanitarian aid organization managing volunteer-led community development programs around the world. Rachel's passion for impacting global community needs has brought her all over the world, including a year-long fellowship in Mumbai, India and extended stays in Argentina, Costa Rica, and Israel. Now a full-time research manager at Penn, Rachel is thrilled to work on issues most important to Philadelphia community members. Bernadette D’Alonzo graduated from the University of Pennsylvania’s Health and Societies program, and then went on to earn her MPH from Penn, as well. Bern is a fantastic writer and budding researcher who hopes to pursue a doctoral degree in public health. She brings to the team her incredible work ethic and a deep commitment to the community. She has roots in Philadelphia’s historically Italian South Philadelphia community. Bernadette now works as a Research Coordinator with the Penn Injury Science Center. Kiahana Brooks and Amy Graves conducting an interview with a local South Philadelphia resident during the needs assessment for the Community Health and Literacy Center. Caroline Larochelle comes to the team with a wealth of experience in community engagement. She recently worked with the Mayor’s Office of Education on programs to boost educational outcomes for low income populations. Caroline speaks French and makes marzipan, thanks to her mother’s Belgian heritage. She also speaks Spanish, which she uses to promote health while teaching the Diabetes Prevention Program curriculum. Eliza Davenport Whiteman, Anna Morgan, Carolyn Cannuscio, Bernadette D'Alonzo, Amy Graves, and Roxanne Dupuis. Senbagam Virudachalam is an Assistant Professor of Pediatrics at the Children’s Hospital of Philadelphia (CHOP) and the Perelman School of Medicine at the University of Pennsylvania. As a pediatrician and scientist, she is committed to promoting positive health starting in early childhood both in community and home-based settings. Her innovative Home Plate initiative teaches healthy cooking strategies to low-income parents of toddlers. Sen sees patients at the Community Health and Literacy Center’s CHOP clinic and is dedicated to reaching underserved communities. Her compassion and sympathetic ear are unmatched. Sen enjoys spending time at Philadelphia’s many farmers markets, as well as on her family’s farm. 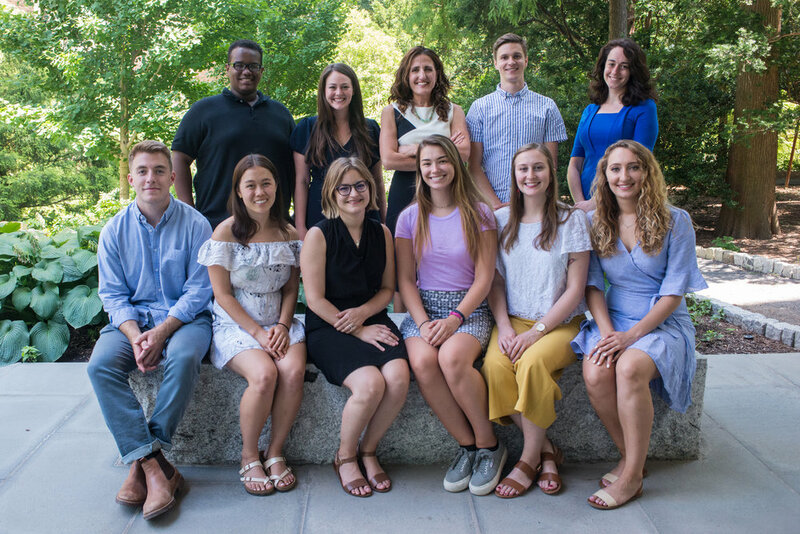 Moriah Hall is the Associate Director of Penn's large and rapidly growing MPH program, in which she mentors many students and also teaches courses on program planning, evaluation, and public health nutrition. She brings these skills and a love of food, cooking, and community to our work. Moriah starts most days with a ridiculously challenging workout, and then her energy remains high throughout the day--no matter what challenges show up on her desk. David Grande is a physician and health policy researcher who brings to our team a deeply nuanced view of the rapidly evolving healthcare landscape, especially here in Philadelphia. Dave has a long track record of engagement in Philadelphia policy and politics, which has sharpened his eye for assessing how to make change happen in our wonderful city. Carolyn Cannuscio works with students in the Edible Alphabet program, an ESL and cooking class for refugees. The class is run through the Free Library of Philadelphia's Culinary Literacy Center. Alex Reisley graduated from Bowdoin College and came to our team with a clear interest in taking on important social issues in his life and work. 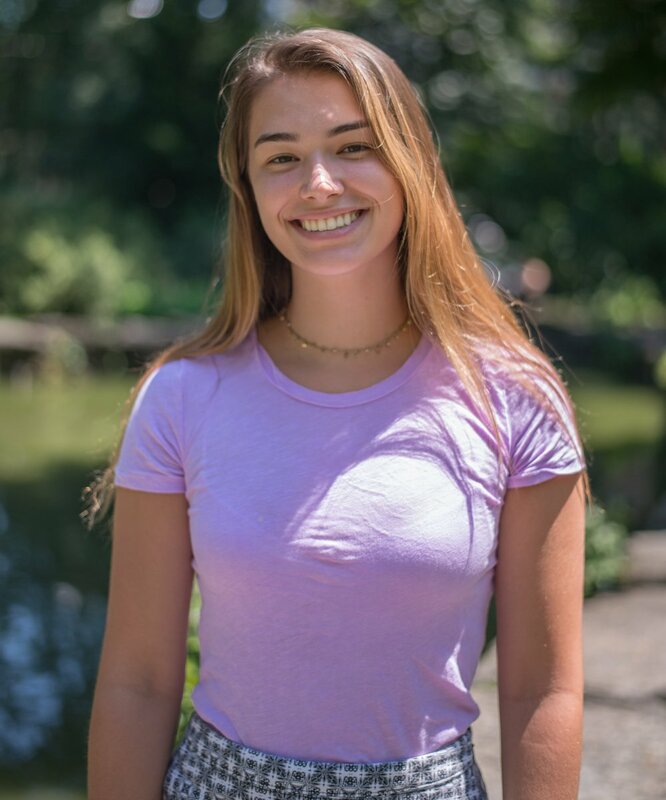 Alex is motivated by social justice, loves to connect with people and share life stories, enjoys writing, and is a Philadelphia native. He is always looking for local squash games. Abby Dolan joined the HLI team as a Research Assistant and is now a Master of Public Health student and a Clinical Research Coordinator. Abby is a Michigan native who moved to Philadelphia in 2017 in search of experience in public health. Before coming to Penn, Abby worked in program evaluation for Maternity Care Coalition where she developed an interest in the health of pregnant women and mothers who are incarcerated. When not at school or work, Abby enjoys reading, cycling, and trying new restaurants in Philly. Ali Harvey is a research assistant engaged in outreach to public libraries. Ali is excited to support the coalition’s mission while making a difference in her Philadelphia community. A sophomore majoring in Biobehavioral Health at Penn State University, Ali has a strong passion for learning and hopes for a future in medicine and medical care. Born and raised in Philadelphia, Ali is committed to improving the health outcomes within its most at-risk communities. During her free time Ali enjoys rooting for her hometown team the Eagles and is eagerly waiting for the upcoming season! Risha Sheni is a senior at Cornell University where she is pursuing a BS in Global and Public Health Sciences. As an aspiring physician and health services researcher, she has a particular interest in working with vulnerable patient populations. Risha hopes to use her training and passion to work towards policy-related solutions for more equitable health care delivery. In her free time, Risha enjoys dancing bhangra and listening to podcasts.